Blowout Sale! 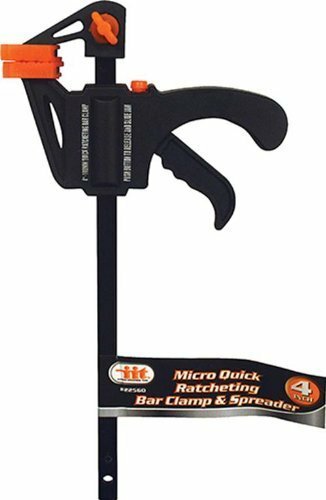 Save 68% on the 4-Piece Speed Bar Quick Clamp Pistol Grip Ratchet Action - Great for Glue Projects by Industrial Tools at Tizimi Press. MPN: 44832. Hurry! Limited time offer. Offer valid only while supplies last. More-nimble version of the always-handy ratcheting bar clamp; great for gluing projects. Sold in set of 4 clamps. Easy to reverse jaws turns clamp into spreading clamp or stretching tool; length overall 7-1/2"
If you have any questions about this product by Industrial Tools, contact us by completing and submitting the form below. If you are looking for a specif part number, please include it with your message.